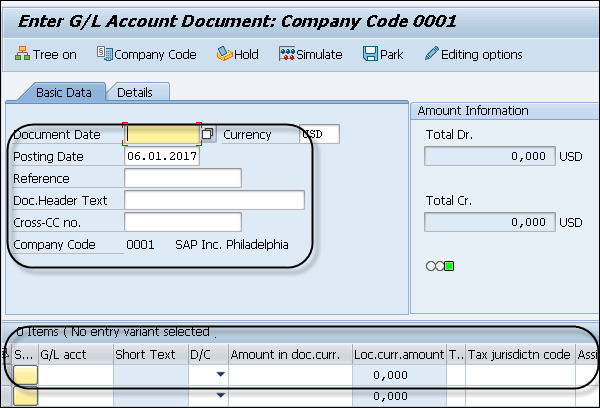 You can create a default account assignment for any cost element using Transaction code OKB9. Later, you can also post a document to check if that account assignment works. Step 4 − To post a test document to check that the account assignment works, use Transaction code fb50. In the next window, click Tree On. Step 5 − Select the Screen Variant in the next window and click Tree Off button. Step 7 − To make the document assignment, click the Save button at the top.